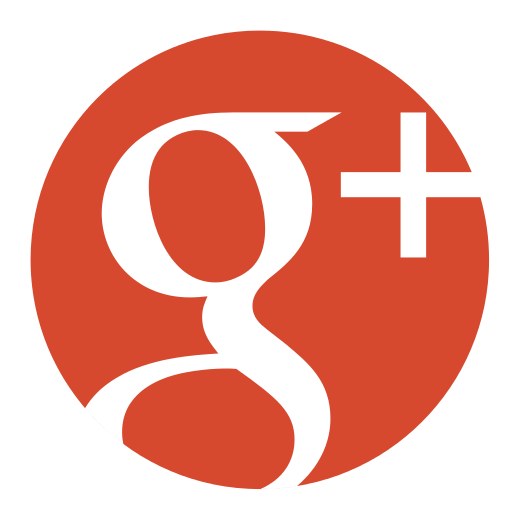 San Diego HVAC Company, RAM Air Engineering and their team of 24-hour emergency HVAC technicians has solved many difficult and unusual heating, ventilation, and air conditioning problems for clients in the past. However this latest project for longtime client, the San Diego Zoo might be the most memorable yet. 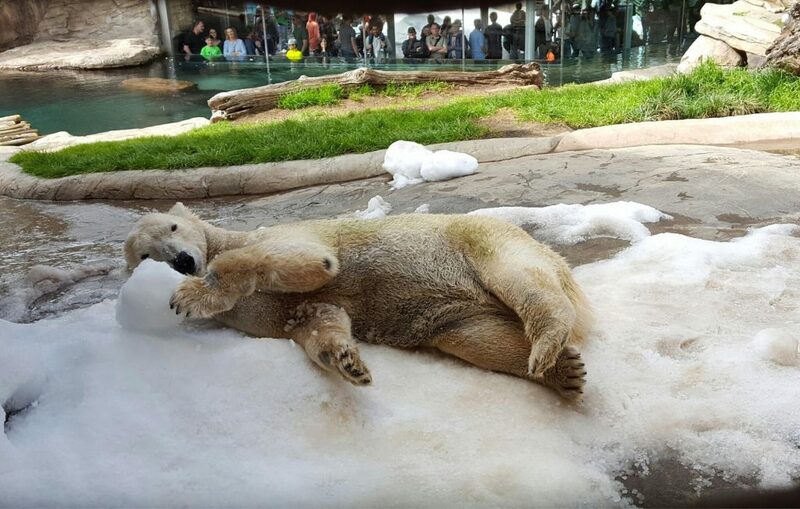 Providing flaked ice for the Polar exhibit was a huge labour intensive process for the zoo. Not only was the ice made off-site at another location and transported to the zoo, the quality of snow dropped off during transportation. Rather than use the previous method of importing ice, the zoo contacted our San Diego HVAC company to remedy the issue by installing two Hoshizaki Flakers ice machines to produce snow directly in the exhibit. In order to protect the new ice machines from the Polar exhibit’s feisty inhabitants, RAM Air’s experienced HVAC technicians built two custom, stainless steel uni-strut supports and mounted them onto the uneven rock formations. This was accomplished by making cuts into the rock for our uni-struts, creating a level surface for proper critical operation. With the safety of the polar bears in mind, our technicians also used Hilti epoxy for the main concrete anchors to support the 350lb ice machines hanging over the exhibit. In addition to the structural installation, RAM Air’s team installed a main and secondary water filter to prevent any type of water quality failure. 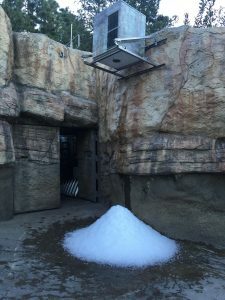 Instead of the previously labour intensive process that compromised ice and snow quality, RAM Air Engineering has successfully solved the zoo’s unusual HVAC-related issue. We’re happy to announce the two Hoshizaki Flaker ice machines are producing 2,200lbs of flaked ice every 24 hours and the polar bears have given our San Diego HVAC company and commercial HVAC services two paws up for the great work. 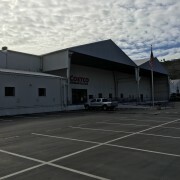 For more information on RAM’s San Diego HVAC Company, 24-hour HVAC emergency services, or commercial HVAC services, including installation, repair, service, or to request RAM’s experienced technicians for a project, contact southern California’s best commercial HVAC contractors.